The effects of the global financial crisis on Britain's high streets since 2008 is well-documented with scores of retailers forced into administration over the last six years affecting thousands of employees and leaving high percentages of floor space vacant throughout the country. The effects of the global financial crisis on Britain’s high streets since 2008 is well-documented with scores of retailers forced into administration over the last six years affecting thousands of employees and leaving high percentages of floor space vacant throughout the country. But, more recently, the high street has fought back against the rise of online retailers and one-stop superstores as consumers have re-evaluated the cost-benefits of shopping at a more local level and embraced a ‘convenience culture’ which is transforming the way we shop and bringing new business back into town. The whole of this evolution has been tracked by social scientists in the UK, led by the University of Southampton’s Retail Research Group who have today published their perspectives on the issues surrounding our ‘Evolving High Streets: Resilience & Reinvention – Perspectives from Social Science’. Funded by the Economic and Social Research Council and edited by Southampton's Professor Neil Wrigley - the sole academic member of the government's Future High Streets Forum - and Research Associate Erin Brookes, the publication documents the important role of academic ‘thought leadership’ on topics central to understanding of Britain’s evolving town centres and high streets in the 21st century. Contributions from the universities of Loughborough, Liverpool, Stirling, Greenwich, and Westminster as well as the Amsterdam University of Applied Sciences and the Association of Town and City Management bring to life the breadth of evidence, interpretation and policy which have added value to debate, discussion and dissemination at local and national levels. 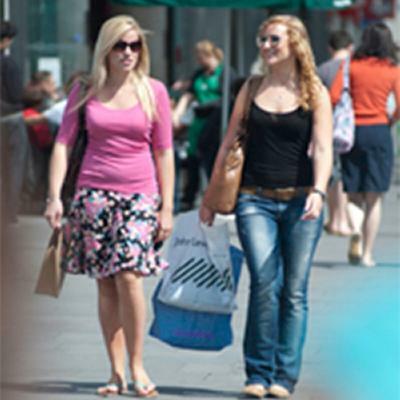 Over the last two years, the University of Southampton has led an exhaustive evidence review of Britain's evolving high streets and shifting consumer habits, funded by the Economic and Social Research Council (ESRC). In his introduction to the new publication, Professor Wrigley sets the tone for future debate by discussing how social science research can add value to the investigation and understanding of our evolving high streets. “During 2014 Britain slowly emerged from the long years of crisis and austerity which had followed the global financial meltdown of 2007,” says Professor Wrigley. “In the context of the challenges faced by Britain’s town centres and high streets however, the need to draw lessons from that experience and to use those insights to design and implement appropriate policy responses had become more rather than less important". “As Government ministers have consistently observed, high streets need to adapt in order to survive and it is not in anyone’s interests to attempt to preserve an historic stereotype of the high street dominated by traditional trades,” Professor Wrigley continues. “Rather policy should be focused on facilitating the creation of spaces which will have future value for local economies and communities. In particular, town centres and high streets which strike new balances between traditional retail, services, housing, community and social uses, entertainment and cultural activities".